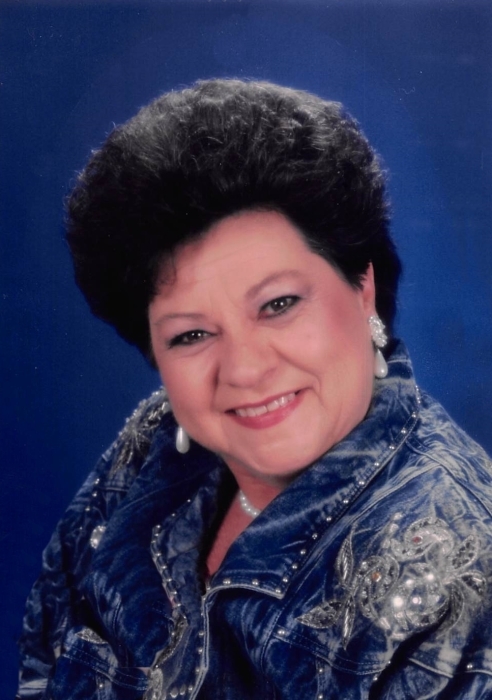 Ms. Bobbie Joyce Thames, 74, of Waynesboro, MS passed from this life Monday, February 4, 2019 at her residence. She was born in Chicora, MS on Monday, September 18, 1944 to Wiley Stevens and Katherine C. Stevens. She had worked as a Beautician. Ms. Bobbie is preceded in death by father, Wiley Stevens and mother, K. C. Stevens; grandchild, Lilliana Maria Lopez. She is survived by her daughter, Yvonne Lopez (Mauro), Waynesboro, MS; grandchild, Julietta M. Lopez; 2 brothers, Harold Clark, Waynesboro, MS, Howard Clark, Arkansas; sister, Ella Pearl Pittman, Buckatunna, MS; 3 aunts, Ella Mae Polk, Mobile, AL, Nadine Caves, Waynesboro, MS, Lois Stevens, Waynesboro, MS. Visitation for Ms. Bobbie will be held from 5:00 PM to 9:00 PM, Wednesday, February 6, 2019 at Freeman Funeral Home, 1305 Skyland Drive, Waynesboro, MS. Funeral Services will be held at 11:00 AM Thursday, February 7, 2019 at Clara First Church of God, 214 Big Creek Road, with Rev. William R. Mills and Rev. Edward Bean officiating. Interment will be in White House Cemetery.